The Sewall-Belmont House and Museum hosted their annual Holiday Open House on December 5th. 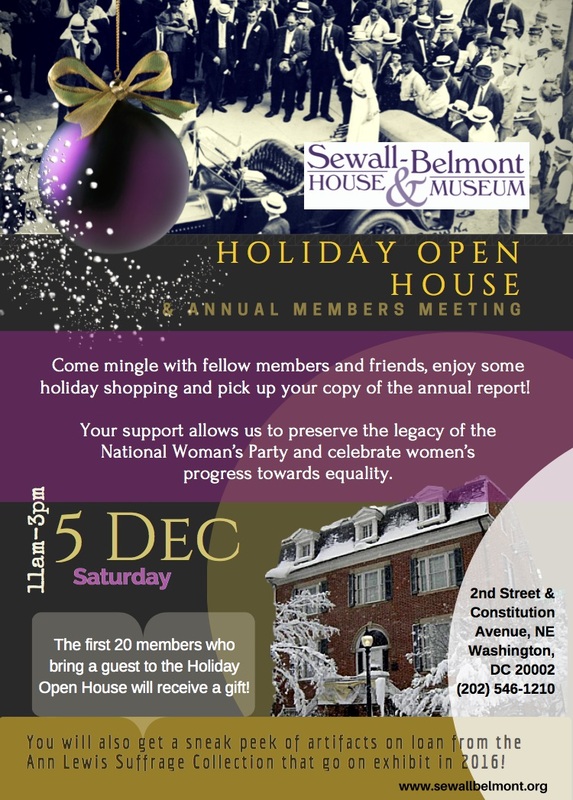 The Sewall-Belmont House is the former headquarters of The National Women’s Party. The museum also currently houses the largest collection of Suffrage items in the country. The event gave the opportunity for guests to explore the Museum free of charge, meet other members from the women’s history community, and offered a sneak peak of artifacts on loan from the Ann Lewis Suffrage Collection that go on exhibit in 2016. Members of the Commission executive staff attended the event. Next → Next post: Commission Kicks Off Social Media Presence!